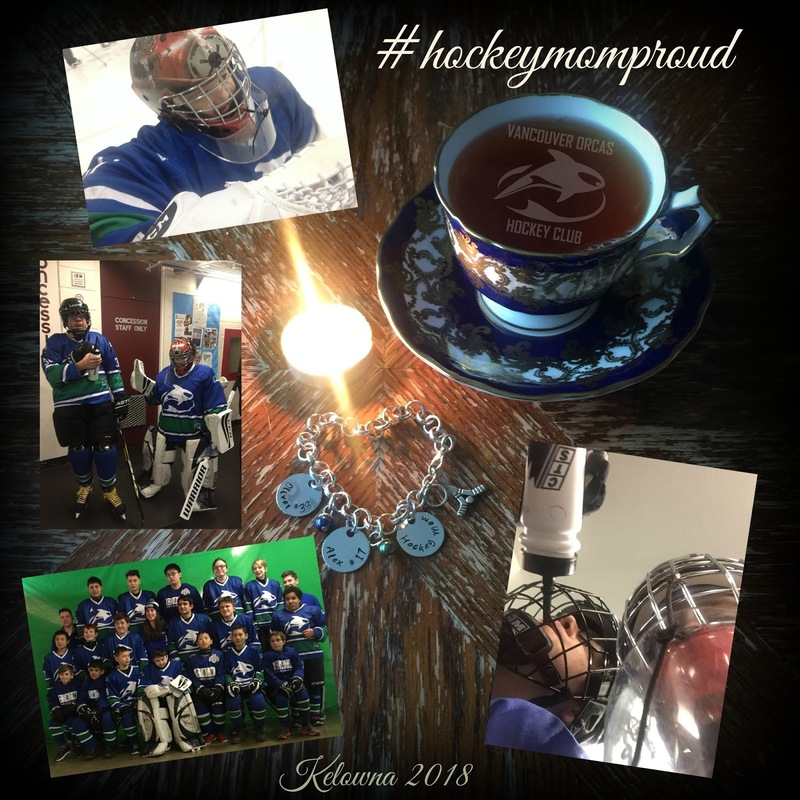 I am writing this post from my hotel room in Kelowna BC, where I am with two of my three boys who are participating in a hockey tournament. While our day did not go as smoothly as planned it was still a very beautiful day and while waiting for our team bus I may have even gotten a bit of much needed vitamin D and a impromptu picnic with some truly amazing people. 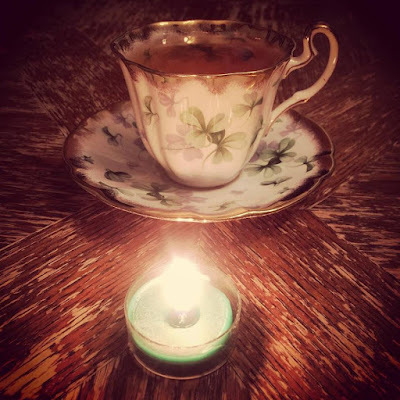 Today is a nonstop day from 6am-10 pm, I have brought with me my teacup, actually I washed and brought the one shown above, it's team colors so I thought it best. I have my tea kettle and my teapot too. All the comforts of home away from home. 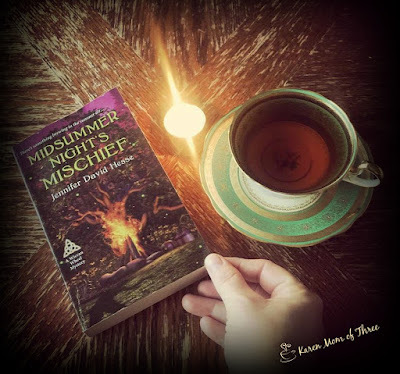 I am almost done Midsummer Nights Mischief such a great series! This week I have gone through my teas and realized that I have enough tea to open my own shop and tea room! I had fun making a tea center in my kitchen. Some great cozies this week and some cozy shorts too, shown above and below. 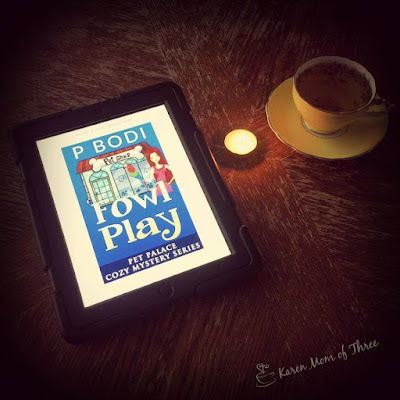 Fowl play will be reviewed tomorrow. 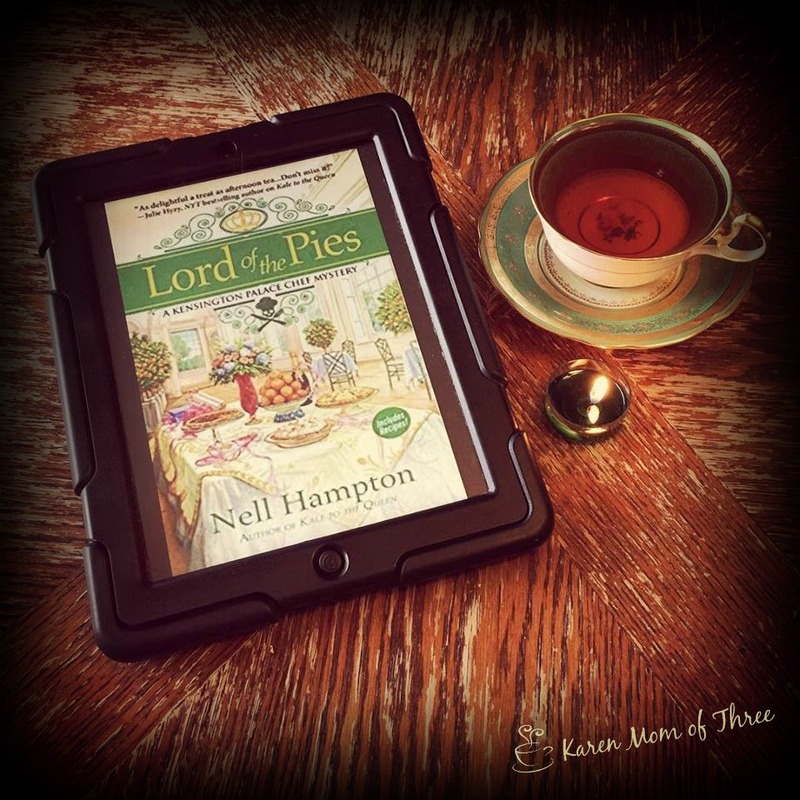 Love the British based cozy series that Nell Hampton writes and I truly enjoyed Lord of the Pies this week. Such a fun read! 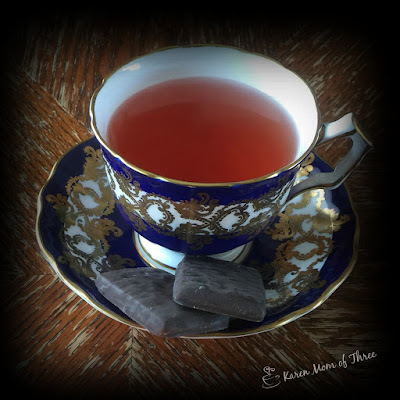 In my cup this week I have been enjoying some Ginger Peach Black tea, my Vanilla Black Murchies favorites, Evening in Paris tea I got in a swap that I loved, Breakfast in Paris from stash and Chamomile and Lavender as well. I best leave you here as the day has already begun and I shall hit the floor running. 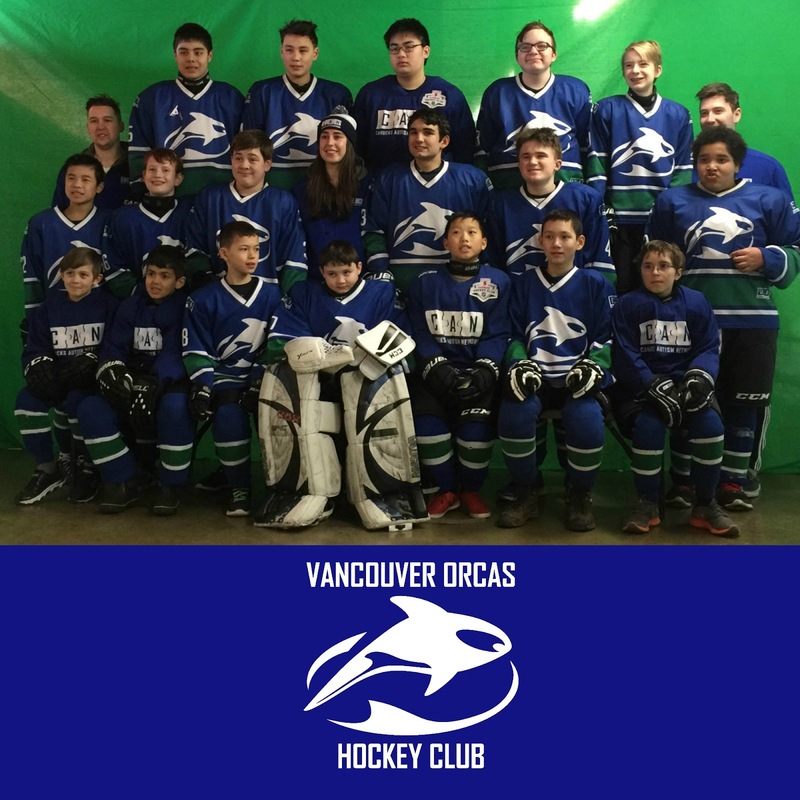 Today is the day that we are on our way to the first hockey tournament of the year for my sons team. Our team is made up of kids with autism. My son is a goalie and the other a defenceman. I am excited to go to my 4 adapted hockey tournament today. That being said I am scrambling this morning with the last minute things I need to do before we leave for the bus to Kelowna. 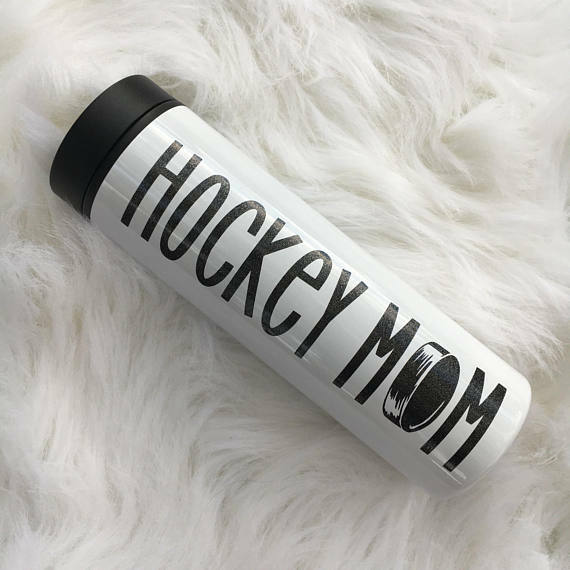 One of those things on my mind is packing up the gear, not just hockey but my books, tea, teapot, tea kettle, cup and saucer and my travel mug...so here are three of my Etsy Favorite Travel Mugs to share. The first one made me laugh! This travel mug is from Designsbylindaneetoo as an aspiring writer mystery writer I loved this! Click here for shop and listing. 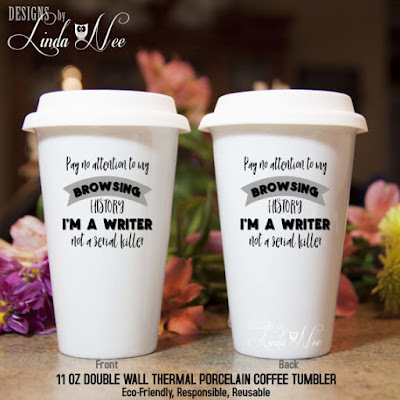 Shroderdesigns has another travel mug I loved that pretty much sums up today! 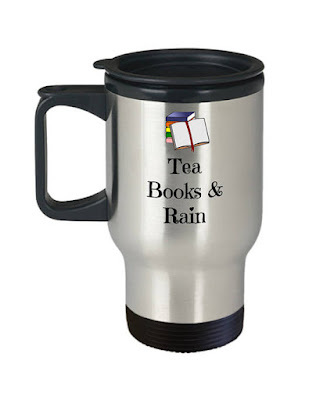 Click here for this Tea, Books & Rain inspired travel mug. Last I share one that is more personal, I love this one, though mine is purple and says Hockey Mom you can find one like this for the hockey mom in your life by clicking here. Little City Sparkle Co has this one listed in their Etsy shop and you can see it by clicking here. Okay I am off to double check the bags, I shall check in from the road. I had every intention of sitting and reading today but a quick stop at the thrift store today and I unexpectedly found something I had been looking for, for a while. 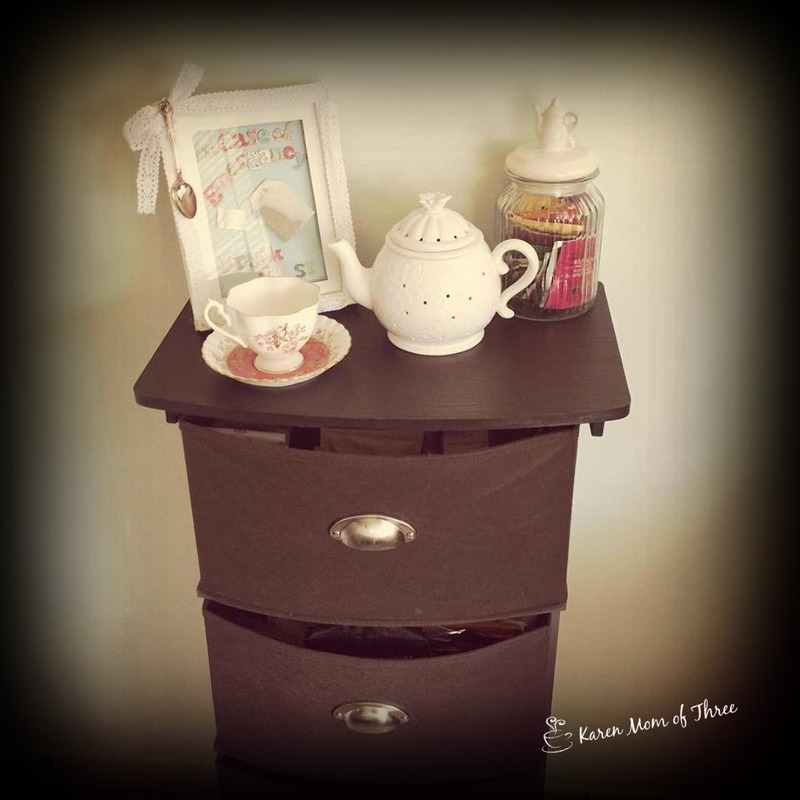 I found a four drawer tower with soft basket drawers that I thought would be perfect for my tea tower area. I have a very small kitchen and every cupboard and drawer had tea tucked into it. So if there was ever a better time to start spring cleaning it was yesterday afternoon. 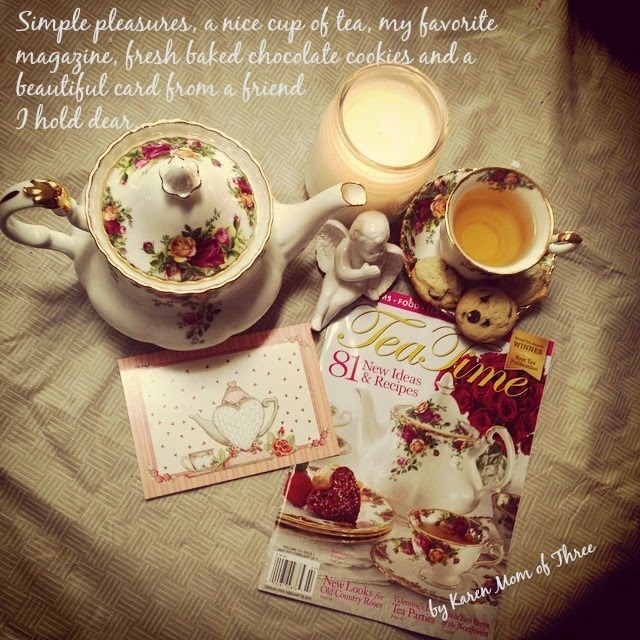 I am an avid tea drinker and enthusiast. I learned yesterday that I had greatly underestimated the amount of teas I actually had squirreled away. 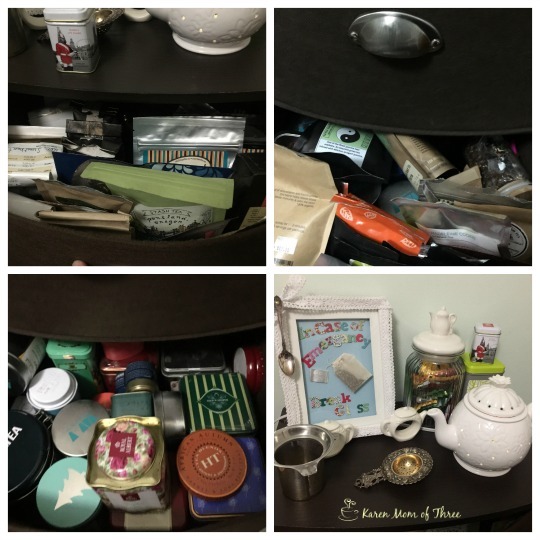 Much like my tea cup collection, my tea collection is widely used and I am happy to say that most of the bags and tins I have of loose leaf are mostly 1/2 full still, I wont admit to just how much that is. 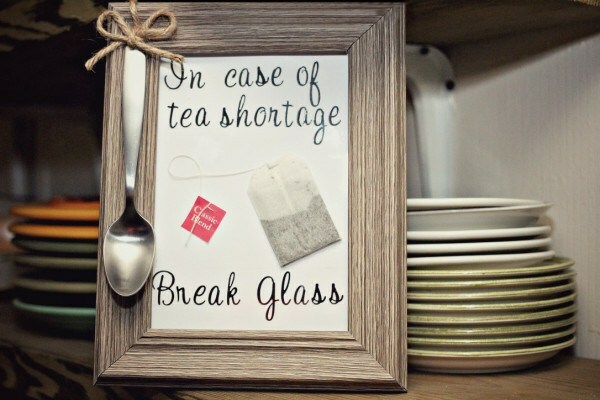 I will say that I could right now open my own tea shop and tea room and not need to restock for a very long time. I think I need to just throw daily tea parties from now to Christmas just to make a dent....but what is in these drawers? 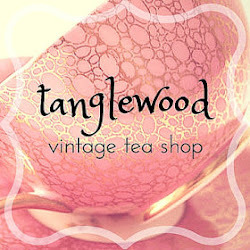 The drawers are packed so tightly and full of some of the worlds best teas! I enjoyed going through them and actually sampling a few throughout the sorting process. Some I had forgotten and a few I have yet to try. 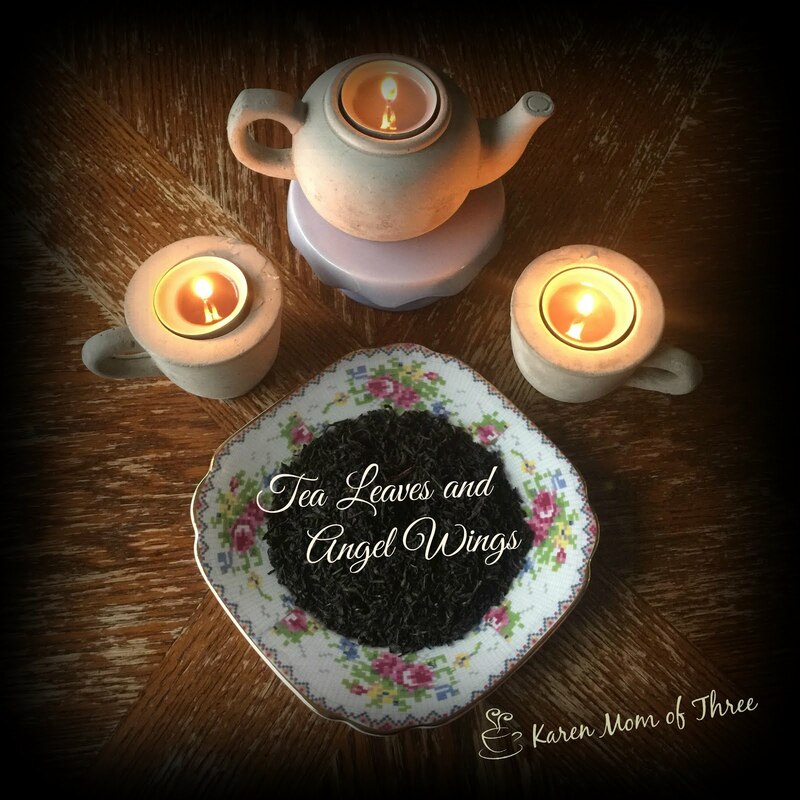 Needless to say I was very surprised to find that I have 48 one ounce cans of tea that did not fit in the drawers and two large baskets of tea bags that I often take with me on the go or that I buy in between my stops in Oregon at the Stash Tea Store. 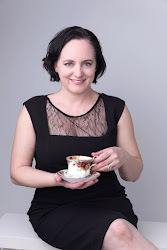 While I love this little tower of tea and the small display area, my friend Anna is right I do need another china cabinet chest to store it all, or perhaps just a few hundred friends to stop by for tea. I put my great grandmother's chair beside the tower in the corner of the kitchen, it is too small to have a table in it with the way it is shaped but it is quite cozy, as long as I can attempt to keep it clear of the clutter. Thank you for joining me for a cup of tea and an attempted tea intervention. My goal now is to drink so much of the tea that I can make planters out of some of the tins. I will keep you updated on my progress. 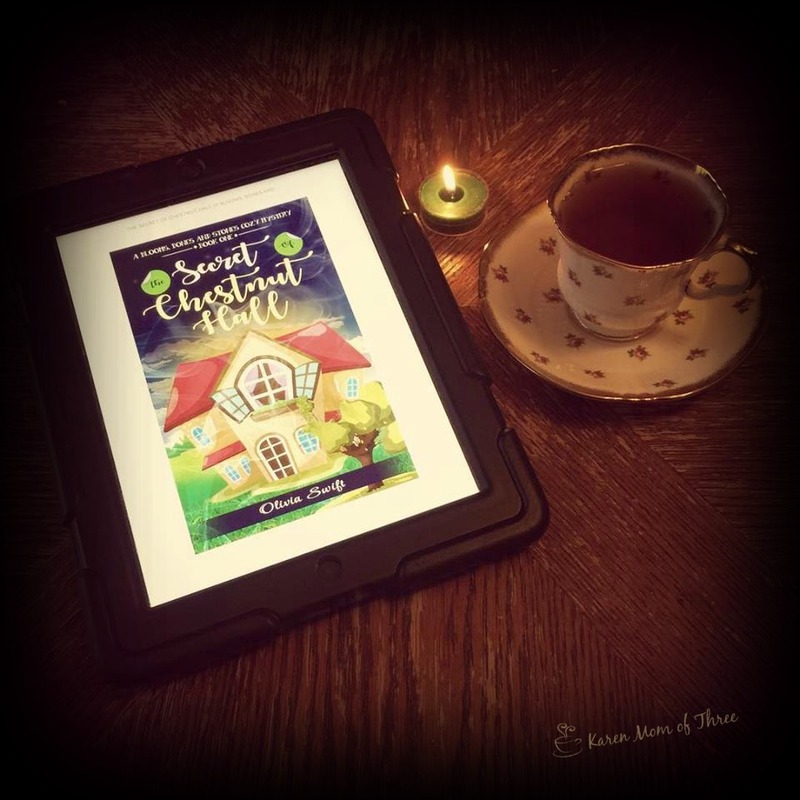 Last night I read The Secret of Chestnut Hall by Olivia Swift. This is a book I got on Amazon.ca and one that I chose as it was a cozy mystery short. I admit I chose it for its cover and I really liked the story. The mystery was a good one too, lots of good twists and turns. 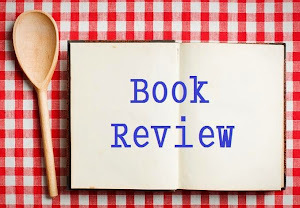 Great characters that even though this was a short story, I still felt like I got to know the characters and felt like I really want to read more so I can learn more about the supporting characters in future stories. At one point I thought the author was going to take us on a predictable journey but I was surprised and pleased at just how wrong I was. A good little read and one I would pick another book in the series in a heartbeat . 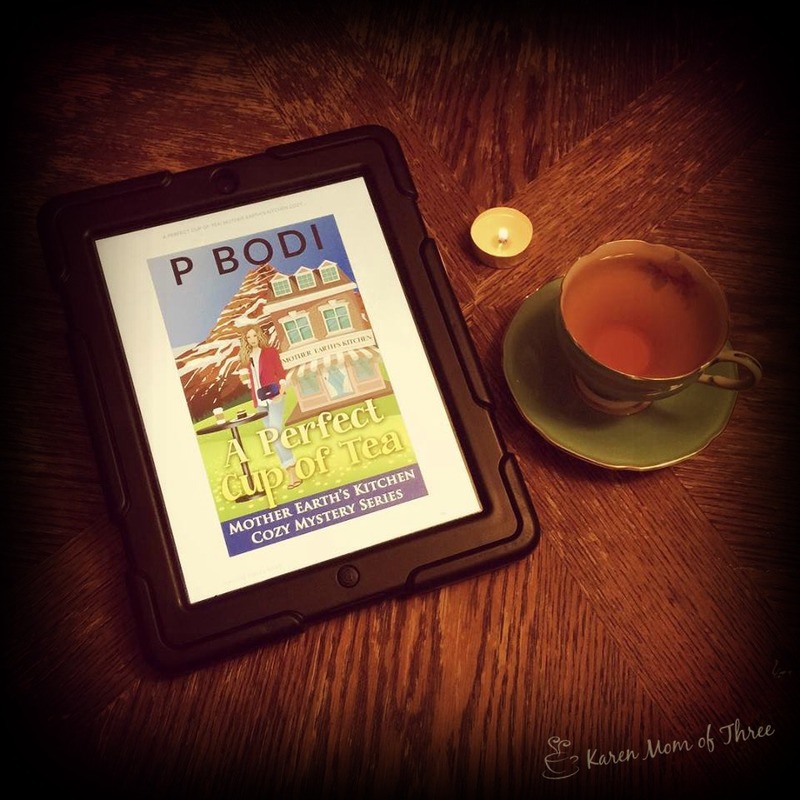 A contract to restore an old garden and a handsome client…what more could a girl ask for? 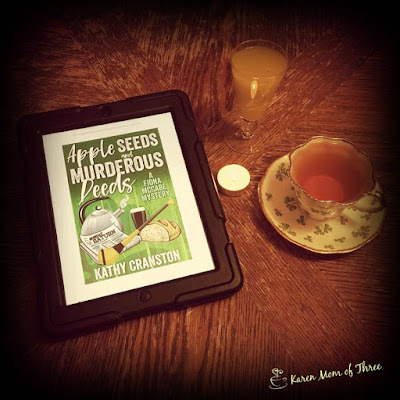 Well, a good mystery of course!Jasmine Summer – or ‘Jazz” as her friends and family call her, takes on a contract to restore an intriguing old garden for her client, Evan Sutherland. Evan – He’s quite a famous mountaineer who is trying to leave behind a shattered life and an ex-wife that almost ruined him. 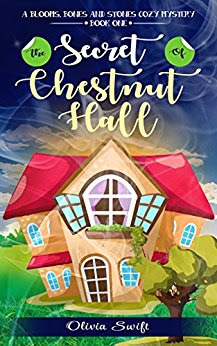 Chestnut Hall – Evan’s house and garden have a mysterious past that intrigues Jazz and Evan. The discovery of a secret grotto leads them both into situations that they would never have dreamed about …and into unforeseen dangers. Will Evan be able to leave his past behind? What dangers lie within the grotto? Will there be a happy ending for Jazz and Evan? This book is out now and you can find it on Amazon by clicking here. 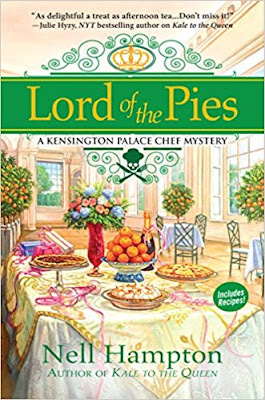 Late last night I finished Lord of the Pies the second in the Kensington Place Chef Mystery series.This was a very fun read. I have long been a fan of the Royal Family and while I love that this is centered around their palace home, it actually has nothing to do with the Royals really themselves and is an absolutely brilliant concept. As much as I love the Royals, I often wonder about those who dedicate their lives to working for the family and to those who work in such a proximity to them. 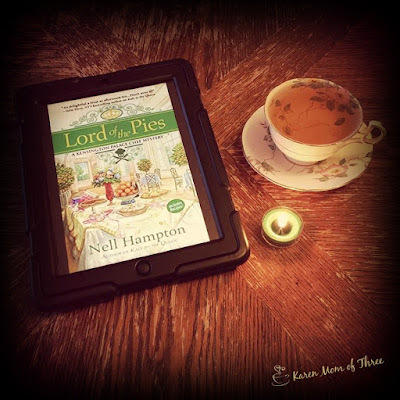 Even though I know this book is fiction it is still fun to imagine and picture everything author Nell Hampton describes so well to us in the books. 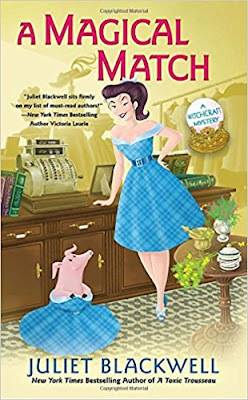 This is a great read and a fun cozy mystery. I really look forward to reading the next one and many more to come! This book is out April 10th and is published by Crooked Lane Books. 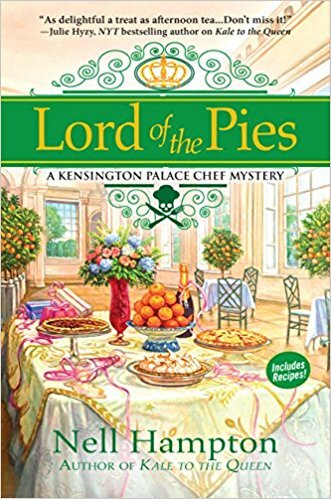 When Carrie Ann Cole bakes a lemon meringue pie to die for that actually kills someone, she must find out who the real killer is before her time at the Kensington Palace expires.The elegant Orangery at Kensington Palace is the perfect setting for the bridal shower of Carrie Ann Cole’s best friend’s sister. Personal chef to the royal family, Carrie Ann’s pie theme is naturally winning. But a waiter later keels over dead into the lemon meringue pie she leaves as a thank-you to the staff and Carrie Ann realizes that somebody slipped a mickey into that meringue. Her floury fingerprints are all over that pie and the authorities suspect her distress is a cover-up for murder. Carrie Ann must set out to clear her name if she wants to stay at her dream job any longer. But all too soon, another body drops in the Orangery. This time, it’s the Orangery chef. You can preorder from Amazon by clicking here. 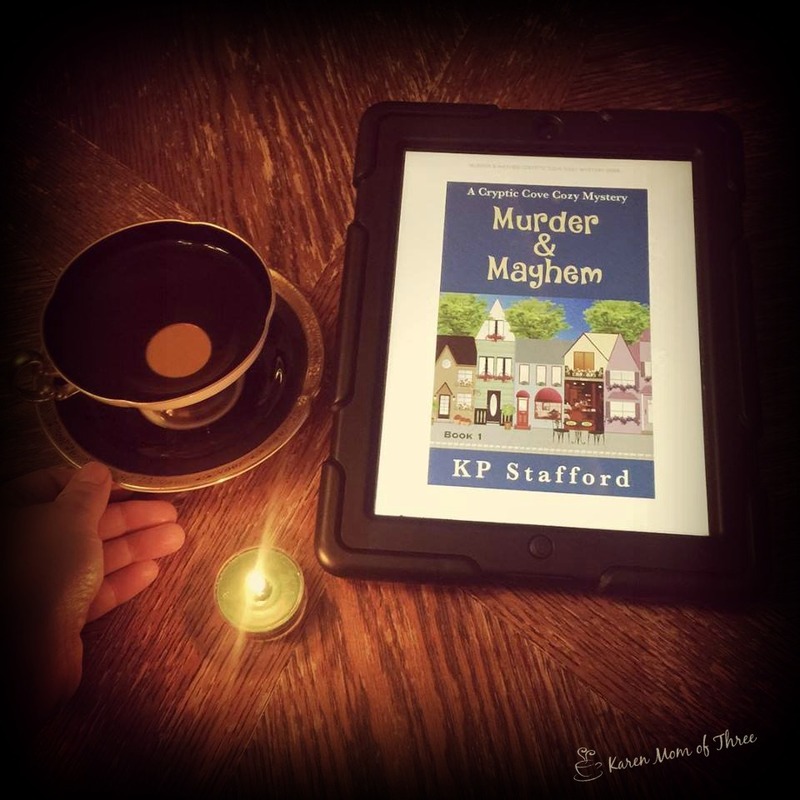 On Saturday I read Murder & Mayhem by KP Stafford this was an Amazon special I got and it was a not bad read. I was confused when reading it as I knew it was going to be a paranormal cozy but it felt really light on the paranormal. Cryptic Cover is a complicated cozy mystery with a heavy dose of romance. 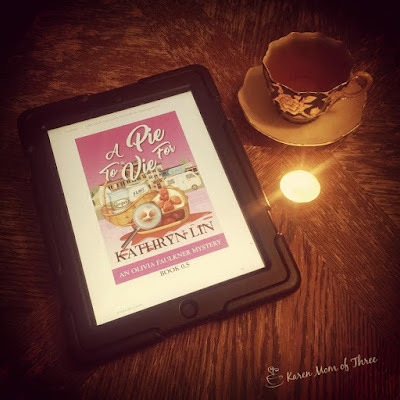 While it was a shorter read it did have some great characters and as a first in series did set the town and the townspeople up to be enchanting. A good cozy to have on your amazon kindle app for sure. Within twenty-four hours, Alexis Danforth's world is shattered. She loses her parents and her job.Rummaging through the attic she discovers family secrets and returns to her hometown of Cryptic Cove; a quiet, sleepy little town perched above the sea.The disappearance and death of an elderly couple sets the town on edge. Accusations fly. The past is dredged up. Bodies are found.Some even question her return and the timing of the murders.As she joins the town constable to help solve the case, she finds herself attracted to her main suspect, Jake Donovan.Jake is handsome, charming, and secretive. Is he a threat to her or just a threat to her heart? You can find Murder & Mayhem on Amazon by clicking here. 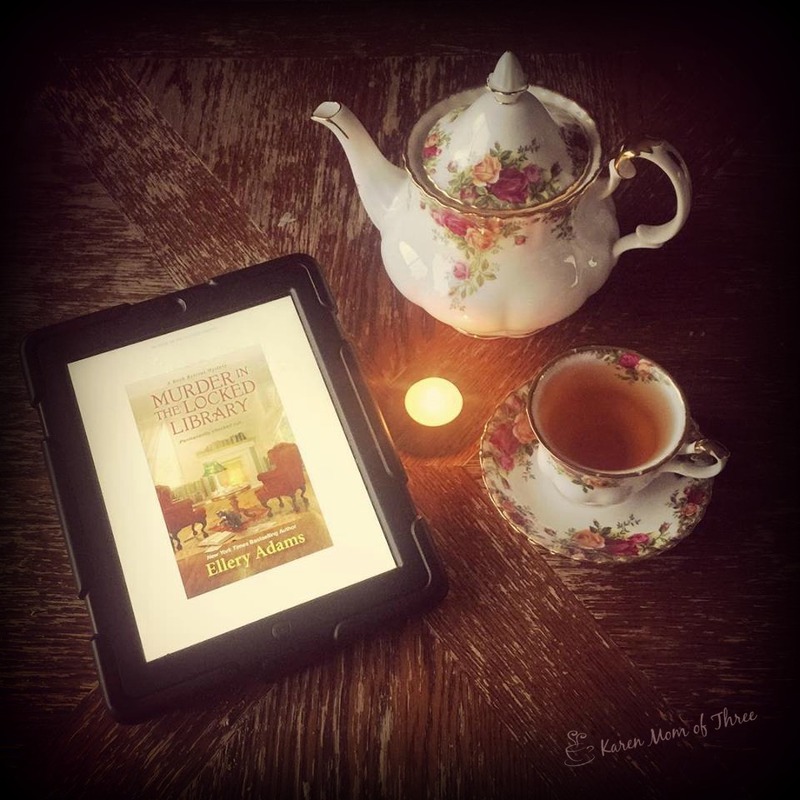 Murder in the Locked Library by Ellery Adams is a late April release but one I could not wait to get my hands on and review. I love this series. 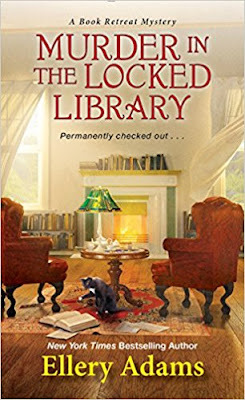 The Book Retreat series centers around a young mother, widow and guardian of a super secret book library. Her ancestral home has been turned into the most amazing retreat for booklovers. 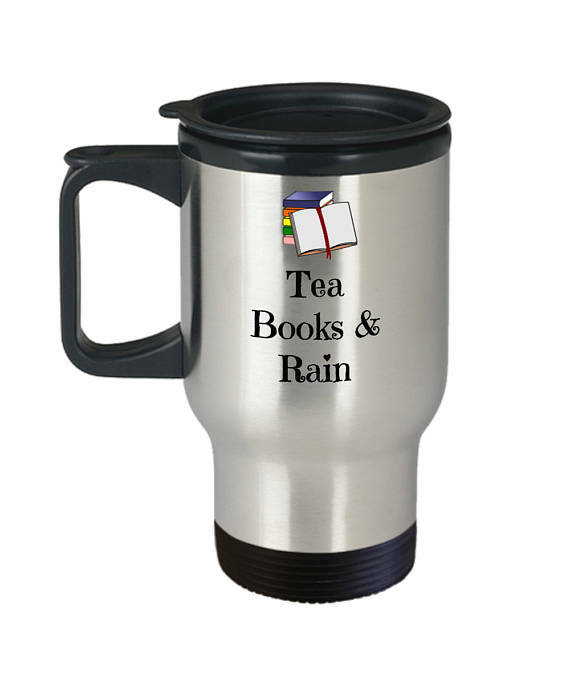 They hold teas, balls, conferences and give book lovers the opportunity of a lifetime. 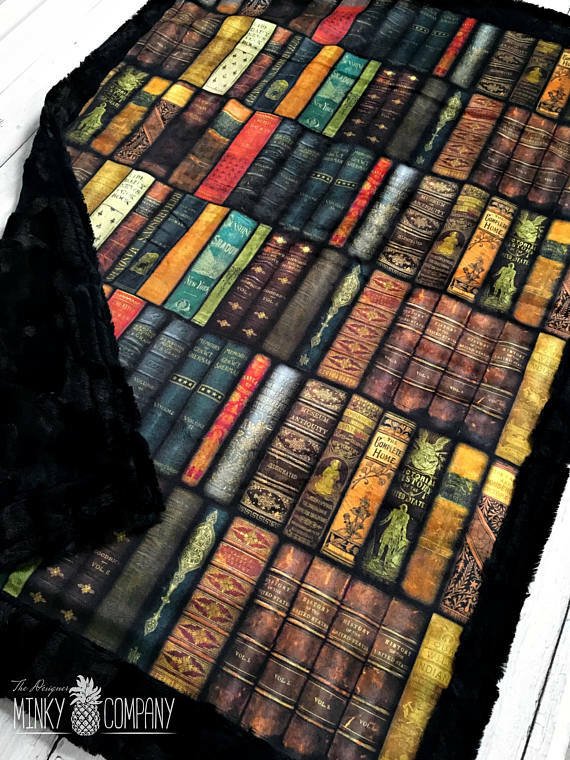 Right down to the ability to stay in literary themed rooms and libraries. This is one of the most exciting of the series I read. Main character Jane is a literary superhero of sorts raising the most adorable twin boys, living on the estate and working to carry on with day to day life, while protecting the most important books of all time. She is not alone, having trained guards called Fins that work with her and she is up against book thieves professional and amature. I found myself holding my breath several times in this book. 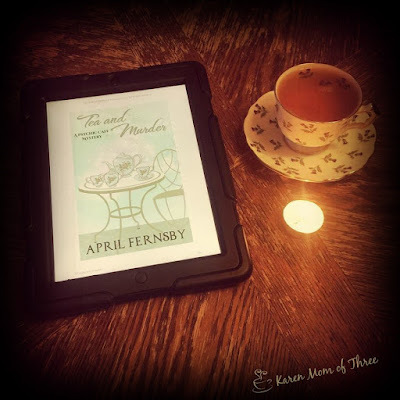 Great mysteries with in mysteries, cozy for sure and a healthy dose of adventure. This is a spectacular read and one not to be missed. Welcome to Storyton Hall, Virginia, where book lovers travel from near and far to enjoy the singular comforts of the Agatha Christie Tea Room, where they can discuss the merits of their favorite authors no matter how deadly the topic . . . With her twins, Fitzgerald and Hemingway, back in school, Jane Steward can finally focus on her work again—managing Storyton Hall, and breaking ground on the resort’s latest attraction: a luxurious, relaxing spa named in honor of Walt Whitman. But when the earth is dug up to start laying the spa’s foundation, something else comes to the surface—a collection of unusual bones and the ragged remnants of a very old book. 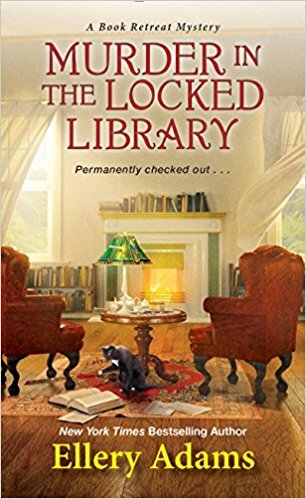 The attendees of the Rare Book Conference are eager to assist Jane with this unexpected historical mystery—until a visitor meets an untimely end in the Henry James Library. As the questions—and suspects—start stacking up, Jane will have to uncover a killer before more unhappy endings ensue . . . Published by Kensington and out April 24th you can preorder it on Amazon by clicking here. It has been a very difficult week. Not just for myself but for so many people I know personally and on Facebook. I want to take this moment just to breath. I am grateful for all I have in life, the opportunities I have been given and the people placed in my path. I am grateful for the ups and the downs and the fact that I can escape in a cozy or two for a reality break. Even though people keep getting killed at Storyton Hall I still think I need to check in for a long stay. I love this series by Ellery Adams and I am so excited for you all to read it. My review will be up tomorrow. Having two books the caliber of Paige Shelton and Ellery Adams to read this week helped me pass some hours in the most beautiful way. Armchair travel and just when I needed it. Picturesque settings, intriguing mysteries and a cozy place to land. Perfect both of these books. I was equally delighted with the short story A Pie To Vie for. Short and sweet and a great way to start the week. 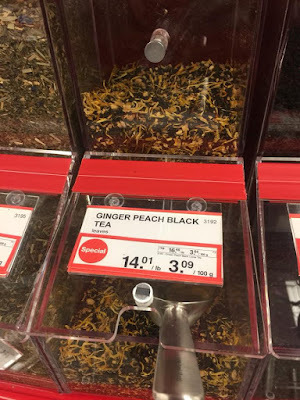 In my cup this week I tried a new tea from Bulk Barn that just opened near me. I was absolutely delighted with the Ginger Peach Tea. I will have to run back there and buy more very soon. I hope you have a great rest of your Saturday and that the new week brings us all better luck, health and opportunity. 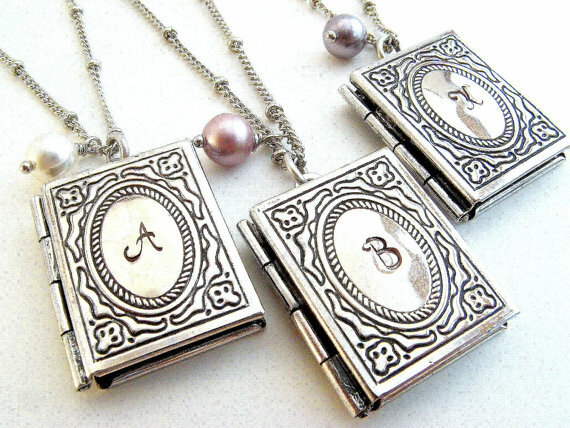 Today's fancy Friday finds are inspired by Ellery Adams upcoming book Murder in the Locked Library. All the amazing secrets locked away in the library and with main character Jane's locket where the secret key is kept these necklaces by saysthestone caught my eye. Take a closer look at them by clicking here for their Etsy listing. I have my review coming up on Sunday but I wanted to mention how much I like the cover and the cat in this story. 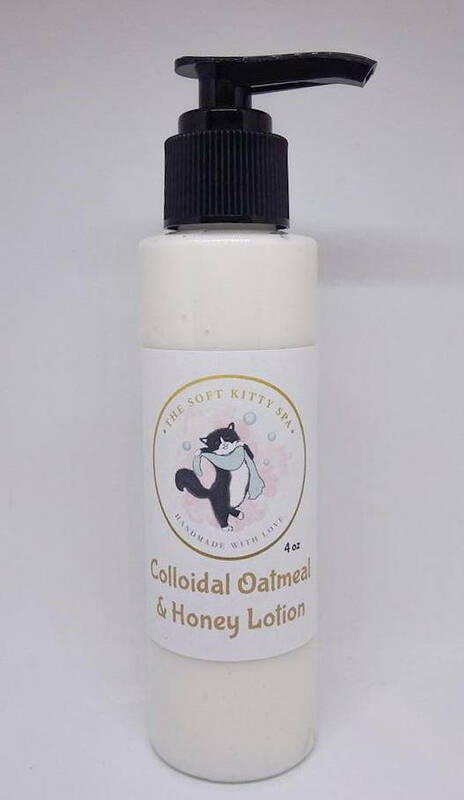 Inspired by Muffet Cat I found this sweet lotion in the Soft Kitty Spa, click here to see the entire line and Etsy shop. More than a tad out of my price range in adult size but I could not, not share this amazing minky blanket! Take a look by clicking here. 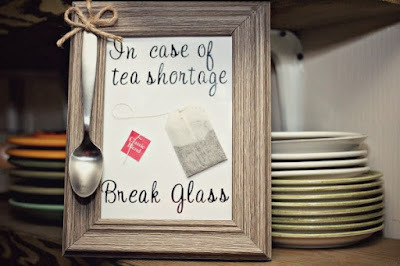 Tea Time Emergency Craft Anyone? Last Saturday night I had a craft night at my place. We all brought our own crafts and had fun visiting and sharing great food while crafting. I had found earlier in the week this great idea from Craft Gossip to make a very cute tea time craft. I made mine a bit differently but I used items from the dollar store. 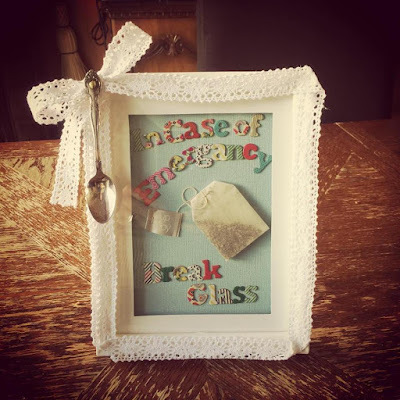 A rescued teaspoon from the charity shop and one of my special Stash Tea Christmas teas to make this very sweet emergency tea stash. 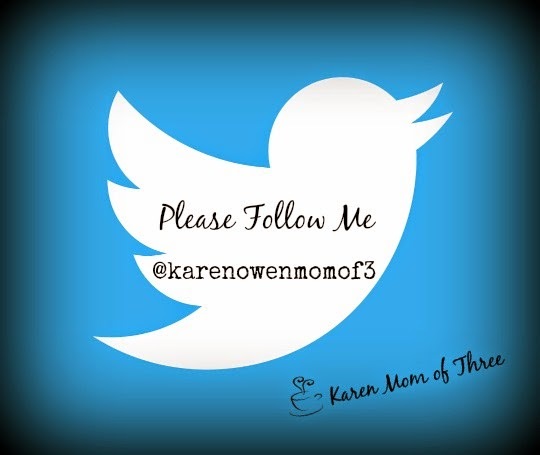 This is the one that Craft Gossip Shared. I loved it and made some changes on mine. You can find the craft idea and more photos by clicking here. Oh this was so good! I have book hangover. I loved Lost Books and Old Bones by Paige Shelton. This is a great read. 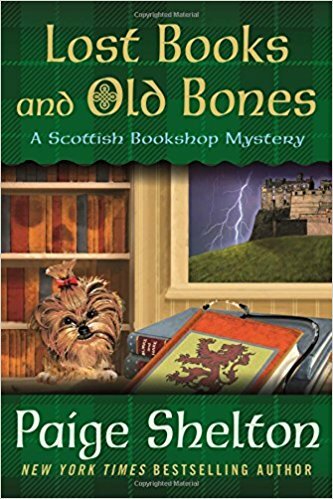 This cozy mystery is Scotland based and a great mystery with lots of twists, history and fun artifacts await you inside! A dream job, friends and family made up of the people you surround yourself with. Local lore and legend and a whole lot of mystery and fun await you. Book three is one you are going to want to read. Actually the series is binge worthy. This one is out April 3rd by Minotaur books and one not to miss! But not long after the sale, one of Delaney’s new friends is found murdered in the alley behind the Cracked Spine, and she wonders if there is some nefarious connection between the origin of these books and the people whose hands they fell into. Delaney takes it upon herself to help bring the murderer to justice. During her investigation, Delaney she finds some old scalpels in the bookshop’s warehouse―she and discovers that they belonged to a long-dead doctor whose story and ties to the past crimes of Burke and Hare might be connected to the present-day murder. It’s all Delaney can do to race to solve this crime before time runs out and she ends up in a victim on the slab herself. 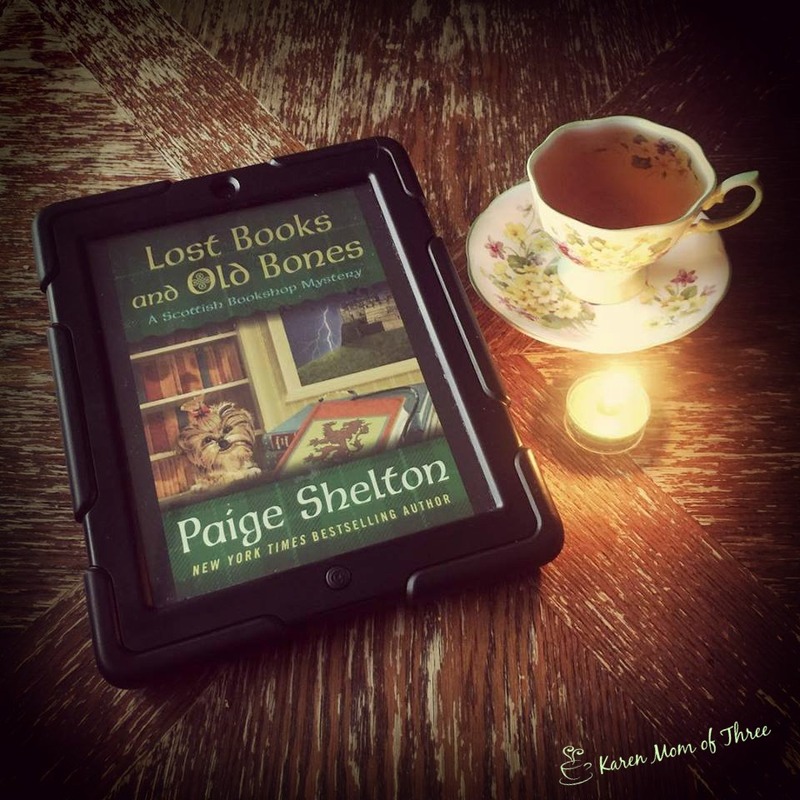 You can find Lost Books and Old Bones on Amazon.com by Clicking here. 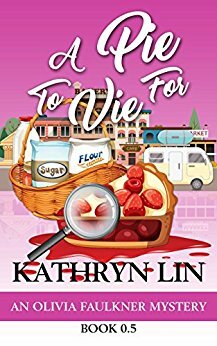 Monday I read this lovely short cozy mystery by Kathryn Lin called A Pie to View For. I immediately loved that the main character Olivia, was a mom, and who had recently bought an old VW Bus for her and her daughter to "Glamp" in. Visiting her parents on the trip her Van breaks down and is need of costly repairs. She is motivated to enter the town baking contest in order to help over the cost of repairs should she win the baking contest. Overcoming her dislike of one of my most favorite pies she sets to work, but she has some stiff competition and a strong connection to the town. I loved this very short mystery and I think you will too. 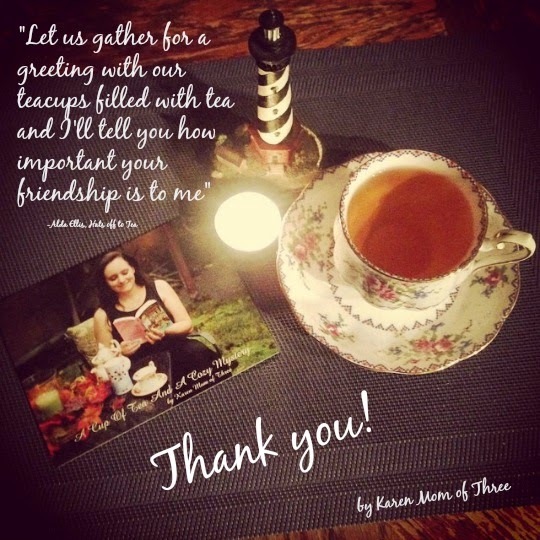 It really was a very sweet short cozy mystery. This is a short story that can be read as a stand-alone or as a prologue to the Olivia Faulkner Mysteries series. It is shorter than the rest of the books in the series which are all full length novels.Olivia planned on a summer road trip across the country, but she ends up stuck in her childhood home in Grand Arbor Township when her camper van breaks down. Good thing there's a $1000 grand prize in this year's Grand Arbor Cherry Festival Pie Baking Contest... 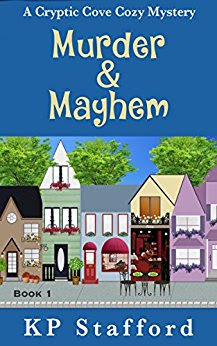 The problem is--somebody is determined to make sure nobody wins.Can Olivia find out who's sabotaging the contest or will this year be the last cherry festival in Grand Arbor? I got mine on Amazon and you can find it by clicking here. This past week I had a few particularly wonderful finds. One was the most lovely and refreshing herbal teas I have ever had from my favorite local Food Truck. Mr. Bannock, here in North Vancouver and the other is the beautiful blue Aynsley Teacup from a local Charity Shop. Mr. Bannock's food truck is a delight and his Indian Tacos are my most favorite. If you are ever in Vancouver you need to come try his menu and the tea especially! Click here to learn more about Mr. Bannock and where you can track down the food truck and this wonderful tea! 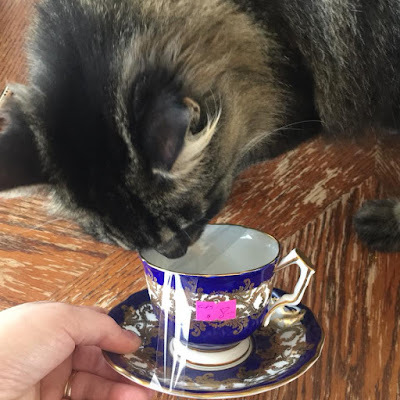 My new blue teacup is lovely to sip this tea from and I was very excited to bring it home. Mia was too! A great find at $8 don't you think? Such a wonderful treat to get to read A Magical Match by Juliet Blackwell. This is one of my most favorite paranormal cozy mystery series and one of my favorites so far in the series! Lily has such a great storyline in this book, an unlikely alliance, and a wedding to get ready for, oh and she is hosting a fundraiser in the shop on top of trying to find a murder to get her fiance out of jail. This was a hit the ground running type of cozy, not a stop and smell the roses one. I loved it fast and forward thinking, not a lot of time for self doubt but enough to make you worry for Lily and Oscar!. Out April 3rd I already cannot wait for the next one! Lily Ivory and her friends are planning a 1950s-themed brunch to benefit the local women's shelter. When a figure from her past shows up unannounced, threatening her unless she returns something that belonged to him, Lily's fiancé, Sailor, steps in to defend her. After the same man is found dead later that day, Sailor is the primary suspect. He swears he's innocent, but multiple witnesses ID him as the perpetrator of the assault. Lily vows to clear his name...only she's not sure where to start with the mounting evidence against him. When she sees Sailor in the neighborhood despite knowing he's in jail, Lily starts to wonder if there could be a doppelganger in San Francisco. When she's not busy helping customers find matching outfits for the upcoming event, searching for a vintage wedding dress for her own nuptials, and dealing with an ill-timed magical cold, Lily begins to suspect one of her magical foes is targeting her loved ones in an attempt to weaken her. You can find A Magical Match on Amazon.com by clicking here. On My Table and In My Cup March 10th to the 17th. Happy St. Patrick's Day from my table to yours. 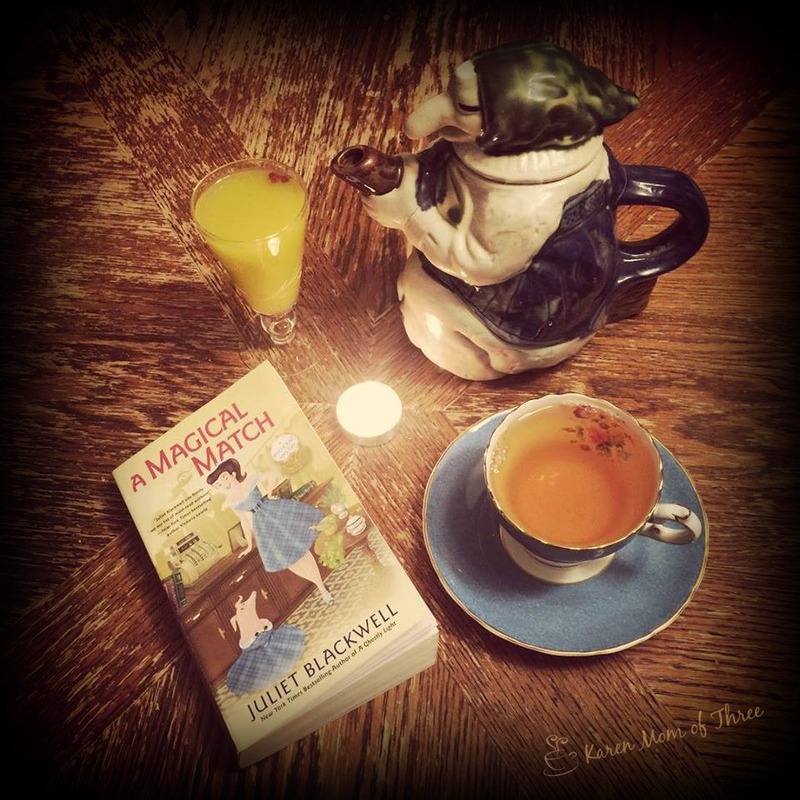 This week has been a busy one and I have had some amazing books and teas cross my table. 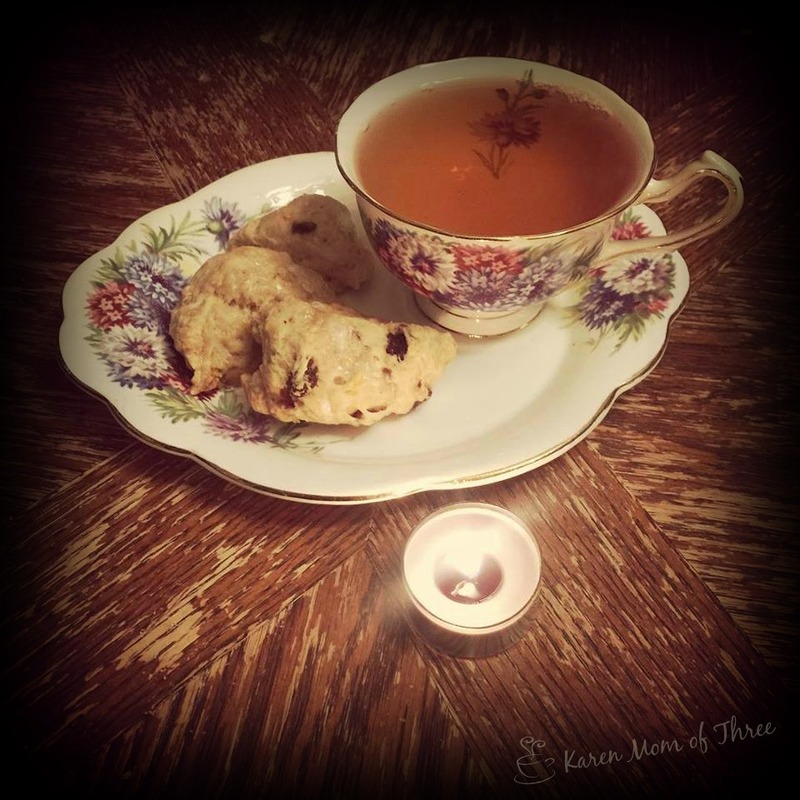 I also had a great teacup find this week too! Today is the first day of our Spring Break Vacation and I am thrilled to have this break. Monday I will share more about this teacup and its contents but I will say this it is a lovely local teasaine in a treasure of a find! 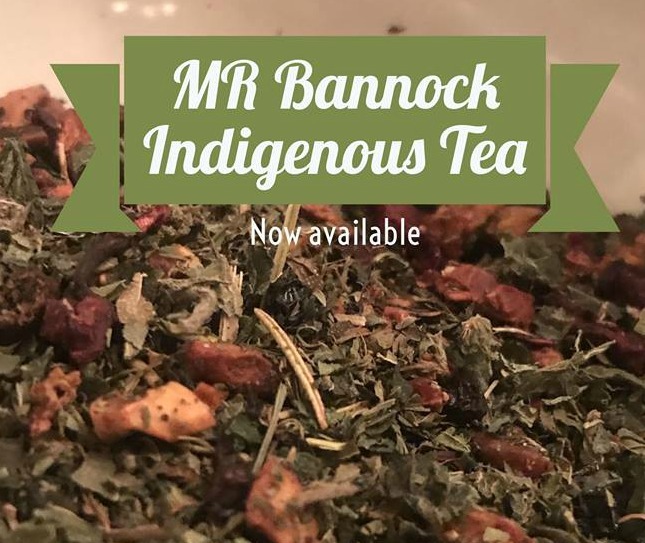 Stinging Nettles, Spearmint and Wild Strawberry make for a very refreshing and delightful tea blend. 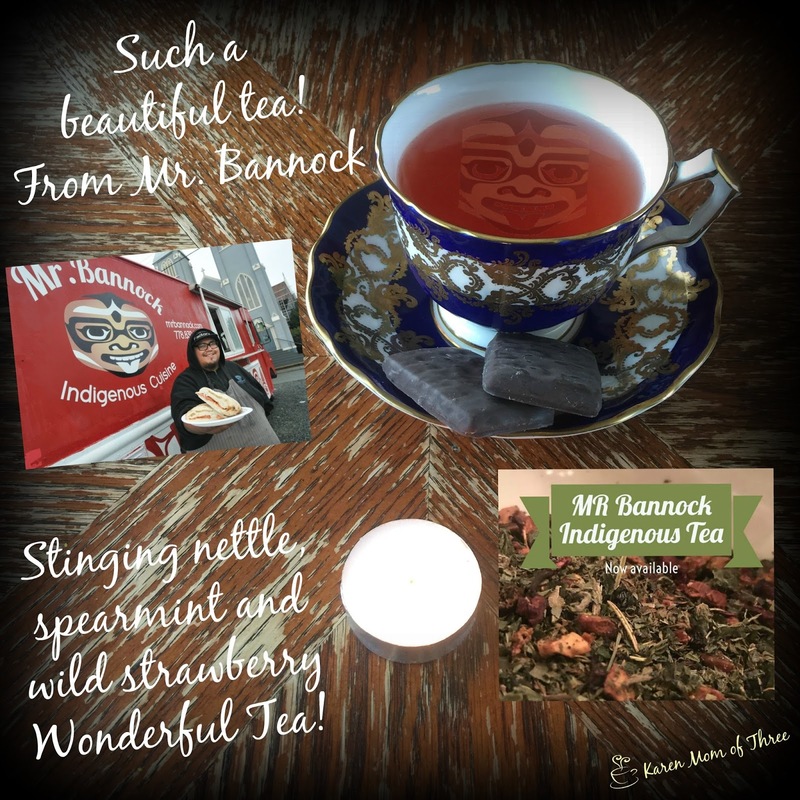 Mr. Bannock has this special tea on his Vancouver Food Truck, I will share more on Monday. The cup is my teacup rescue, an Aynsley and in a lovely cobalt blue and gold. 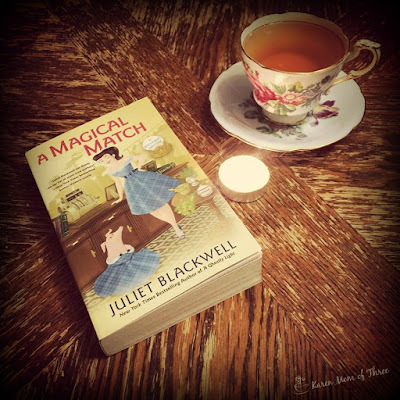 Tomorrow I will share my love of A Magical Match by Juliet Blackwell. I could not resist and had to devour this book like all her other books in this series! I have had some wonderful luck with some cozy shorts this week and I downloaded A Pie to Vie For earlier this week. Cozy shorts like the two shown above are wonderful to have cued up and waiting on your Kindle App I have it on my phone and Ipad and that way I am rarely without something great to read. Apple Seeds and Murderous Deeds by Kathy Cranston was a wonderful Irish Cozy Read, grab this one on Amazon for sure! 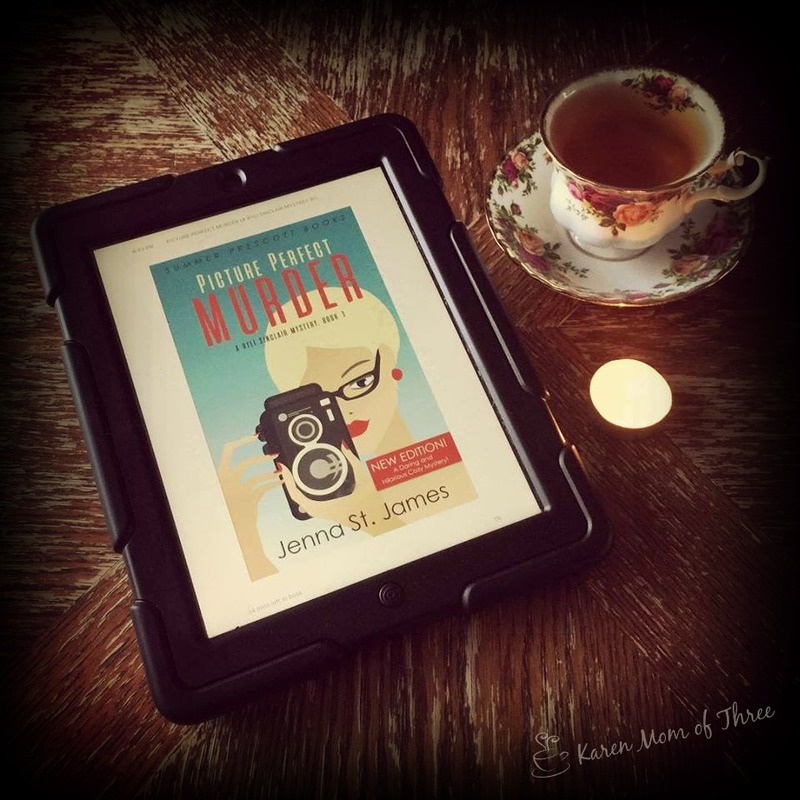 Jenna St. James had a great read with Picture Perfect Murder, a book I bought a few weeks ago and it is a long running series so I am thrilled to know I can pick up and not wait to carry on in this series. Tea and Murder was another wonderful Amazon find, this one with a paranormal twist, great title and fun characters was another great start to a series for me. While our Luck O' The Cozies Event is running this weekend and off to an amazing start. 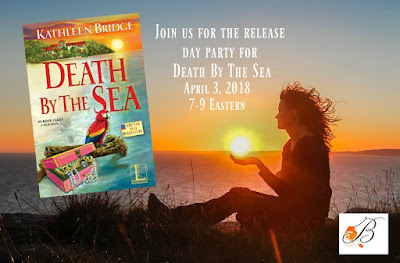 I wanted to share another upcoming Book Release Event for Kathleen Bridges' Death By The Sea April 3rd! I hope you can join us! Click here to learn more.